The thought of giving a speech can be the stuff of nightmares, I know this to be true for myself. The pressure to pull off a heartfelt, funny and memorable speech and not falling flat is seriously intimidating. 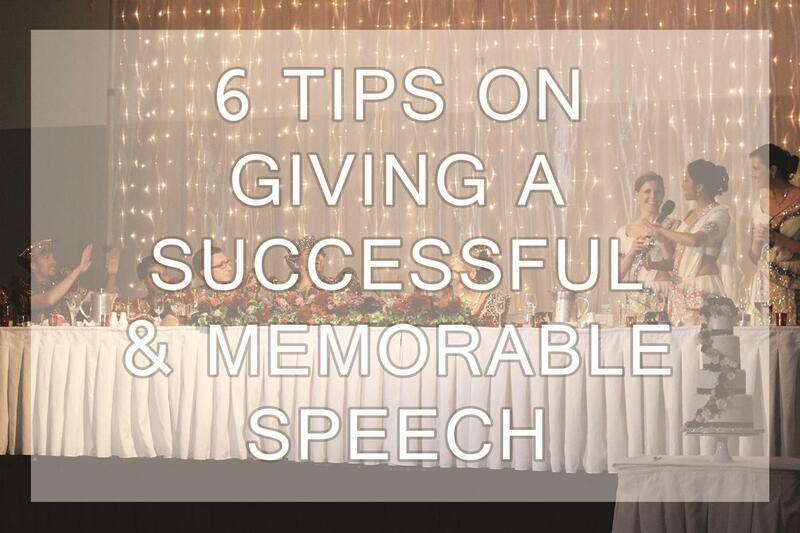 Here are our top tips to ensuring that your speech is all that and a bag of potato chips! No one, and I mean no one, likes a long speech. What you say isn't often remembered which can be a real shame if you have put a lot of thought and preperation in. The perfect length is 5 minutes but if you are a great public speaker you may get away with 10. Any less than 3 minutes may look glossed over. Don't overdo it and don't try too hard. Sit down and nut out the main points you want to get across. This is not a time to add padding, you will find it more natural and easy to elaborte in the moment. Stories breathe life into speeches. A short story that is sweet, funny or better yet- both is a great way to engage your listeners. Make sure the story is more about the Bride/Groom and not about you. If the guests aren't looking at you with puppy dog eyes or laughing so hard that tears are appearing at the edge of their eyes- you aren't doing it right! Wit is what keeps the guests listening and interested. Laughter is the best medicine. It's a wedding, it's nice to hear a few 'awww's' as you recall a sweet story or share a little titbit on how beautiful/happy/radiant the couple look and how they are meant for eternal love and happiness. Your last sentance is so vital. No matter what you said during the speech that may have made the Bride or Groom cringe or laugh awkwardly, you need to bring it back to being sweet. End on a high or a little toast.